Linda Donalds has been a Certified HypnoBirthing® Childbirth Educator since 2009, and has been with Emerson Hospital since 2012. Over these years, she has taught HypnoBirthing to over 150 expecting couples, many of whom have come back to share their amazing birth stories with parents attending subsequent classes. Linda teaches these classes from personal experience, having used this method for giving birth to her daughter Kalina in 2008. She is also a Board Certified Hypnotist and has been a member in good standing with the National Guild of Hypnotists since 1998. Over the years, Linda has also completed several additional advanced training programs in the field of hypnotism, including certification in Complementary Medical Hypnotism and Hypnosis for Pain Management. She is uniquely qualified to help you achieve your desire for an easier more comfortable childbirth experience using hypnosis. 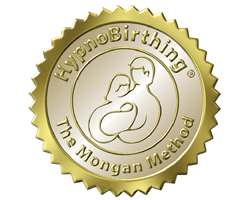 HypnoBirthing classes, group and private offered.